Are you finding it difficult to develop a regular writing habit? You are not alone. Writing may be what you love doing but if you do not develop a regular writing habit you will lose your writing flow. Write everyday. “Writing is showing up, not worrying about the outcome, just honoring the process.” – Jeff Goins. Write every day, even when you don’t feel like it. Over a period of time, it will feel more natural for you to write than not to write. You don’t have to write a chapter in one day, you can start with a few pages, but make sure you write. Get an accountability partner. Do you want to take your writing more seriously? Then get an accountability partner, someone who can remind you of your writing goals. This will prevent you from slacking and it will keep you on track. 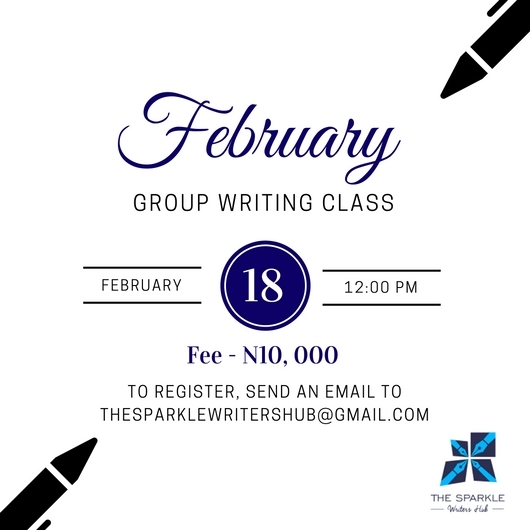 You can join a writing group, this will also help too. 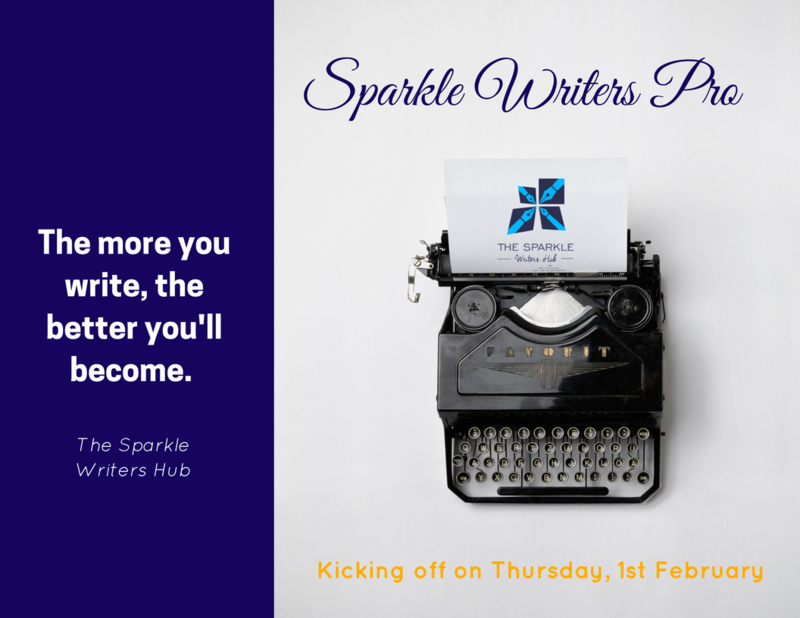 The Sparkle Writers Hub can be a great writing accountability partner if you don’t know where to find one. Make it fun and interesting. Writing should not be boring because you do it every day. Spice your writing up a bit, try something new, make it fun and interesting, use a different writing style, write on a different topic or niche. Just have fun with it. Let each article or story you write be a challenge and get better as you go on. Try these tips and let us know how well you do after 30 days. Some phrases should not be seen in your work simply because they are weak and boring. Most times you use it because you’ve heard people say it or you’ve seen it in other articles but this does not mean it’s correct. Your style of writing should not only be adapted from what you see but what is right also. Basically, essentially, totally. These words seldom add anything useful to your work. Each time you are tempted to use any of these words remove them from the sentence and see if it doesn’t sound better. Due to the fact that. Just avoid this phrase. If you mean ‘because’ then say it. ‘Due to’ is acceptable after a linking verb (The team’s failure was due to illness among the stars. ); otherwise, avoid it. Each and every. You can use one of the words but not both. For example, you can say “Each of the girls had a tiara on“, but do not say “Each and every one of the girls had a tiara on“. Generally avoid using these words too often in your work. We hope your writing gets better after reading this. Yay! It’s Thursday again and we’re featuring another fabulous writer on #WriterSpotlight today. 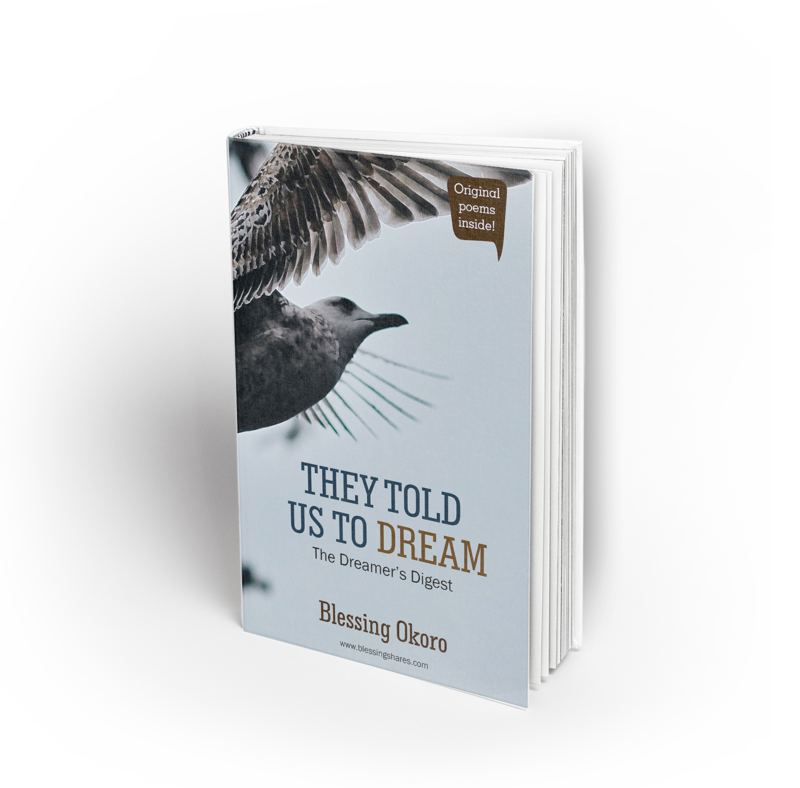 Her name is Frances Okoro and she is a writer on a mission. Enjoy our interview with her. My name is Frances Okoro, a young lady in her twenties. I am a lawyer, writer, author and Christian blogger who is passionate about youths living purposeful lives for God. My profession (at least on certif‎icate) is a Lawyer, but I am being called unto different waters presently. I run ‘Awakening Youths’ an organization that aims to awake young girls and youths generally to walk in God’s purpose for their lives. I organize seminars in schools in a bid to raise girls and women of purpose for God and also organize seminars where youths can attend and leave with more clarity regarding what niche they were created to fill on earth. I am also the founder of a ladies group called “the women at the well”‎. We are simply young ladies who love Jesus and desire to be His own kind of women. I wouldn’t say that I chose to write, I would say writing chose me. I’m serious. Just before I graduated from University, I used to write behind all my school notes when the writing bug struck me and then I graduated into sending broadcast messages on BBM, until the tug from people and a deep pull inside of me led me to start my blog. I just knew that I had words inside of me that refused to stay hidden. They were words that could change lives and I had to let them out. That journey has brought me here. I would say my most challenging moment is dealing with fear. I had such a huge issue with fear when I was just about to releas‎e my first book and it was odd because fear was something I talked about in the book. So I literally had to take my own advice and walk the talk. Conquer fear and release God’s Word in me to the world. Can you share any lesson you have learnt from writing? Oh, there are a lot of lessons to share but my biggest reoccurring lesson has been to “stay faithful” wherever God has placed me. Writing to me isn’t just an occupation. It is a ministry. So it is of great need that I write and stay faithful to this ministry be it one soul who reads my words or millions. It would have to be getting mails and even real life moments from people who just come to me to say my ‎blog/books has been amazing. I literally lift hands in worship to God when people say that my words came at the exact moment when they needed it. Lives transformed and changed was and is still my most rewarding moment in this journey of using my gift of writing for God. If you didn’t become a writer what else would you have done? Uhm…maybe a fire blazing lawyer breathing brimstone from her nostrils in the courtroom. But then I am a lawyer so…I don’t know. I would say that the moment of rejection I encountered was turned to joy. I sent my book to be sold at a Church bookshop and it was rejected‎ as “not suitable”. I quickly gifted the book to a member of that same Church and she called me with words of praises for the book saying that she had told her colleagues about it and is challenged to do more in her own life. So what’s the saying? One man’s meat is another man’s poison right? That wasn’t really rejection per say to me. No. I don’t see myself doing that anytime soon. Writing is a huge part of my purpose on earth and this girl is determined to live out her God-given purpose! I surf the Internet a lot…maybe too much. I also love traveling, sightseeing and seeing new places. So you would probably find me climbing mountains, hills, visiting waterfalls anytime I have time and cash to spare. Continental Food or African Delicacy? African delicacy…Banga soup to be precise. R&B or Hip/hop? R&B but more like‎ gospel songs to be truthful. Do you have a writing mentor? If yes why? I wouldn’t say that I have a writing mentor. I do have people whose words inspire me though. They inspire me to write words that would never fade away but would still touch lives for good decades from now. They made lots of impact in lives. It was overwhelmingly sweet to see lives changed by an act of obedience to God to share my life story. Share the words God has placed in you. If it’s burning in you don’t keep it in. Don’t let fear keep the words hidden either. Lives are waiting to be changed by the light that shines through your words. 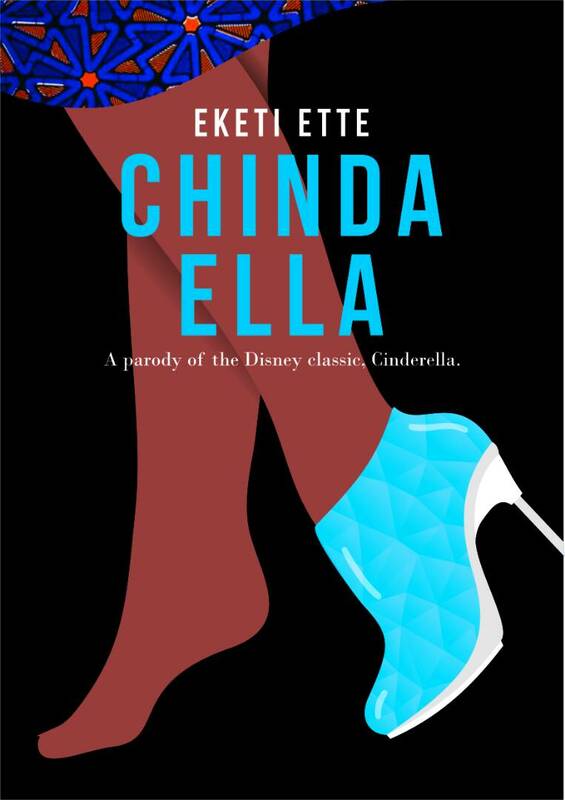 #TheWInkChallenge – This is for our female Sparkle Writers! Are you a female writer? Do you live in Nigeria? Can you write that thought provoking article that will challenge the status quo and get people inspired? If your answers are in the affirmative then you should sign up for #TheWInkChallenge writing competition. The topics you can write about include family, love, business, health, lifestyle and trending issues and of course there are prizes to be won! Cash prizes, mobile devices, books and loads of discount vouchers are available for writers whose submission stands out. What are you waiting for? Get your writing pads and pen and start writing. This competition opens 1st March 2016 and it will close 31st March. For more information about #TheWInkChallenge, visit The W Community. Word of the Day – Have you heard of the word ‘decant’? We are excited to teach new words, are you excited to learn? The word for today is Decant /dɪˈkænt/. Decant is a verb that means to pour something (wine or any other liquid) gently from one container into another so as not to disturb the sediment. Other words that could be used in place of decant are: pour, transfer, empty, draw off. My mum always decants the milk into a jug. He decanted the rich red liquid into some glasses. After the flood the local government decanted people whose houses were affected to shelter homes. Do you get confused on how to use capital letters properly? This post will teach you the proper ways to capitalize with clear examples. 1. Capitalize the initial letter of the word that begins a sentence or a direct quotation. 2. Capitalize proper nouns and adjectives derived from proper nouns. Sola went to the branch in Lekki this afternoon. 3. A capital letter is also used as the initial letter of the main words in the titles of people, places or works of art. President Muhammadu Buhari is the Grand Commander of the Armed Forces of the Federal Republic of Nigeria. Professor Smith is already in class. 4. Capital letters are used as the initial letter of the days of the week, month or religious festivals. I went to work early on Monday. Her birthday is in September. My daughter will be home for during the Easter celebration. 5. A capital letter is always used as the initial letter of a noun that is a trade name. Toyota cars have always been my favorite. 6. A capital letter is used as the initial letter of God, Allah or Jesus Christ. When a pronoun is used to refer to God or Christ, it should begin with a capital letter. God wants you to trust Him. There is so much information on the internet today that you may not find the exact things or concepts you are looking for if you do not use the proper keywords. Using proper keywords help you narrow down our search to the specific details you may need and reduces the amount of unsolicited answers you may get. For example if you are searching for a particular person’s article on the internet and you do not know the tile you could write the name of the writer and the year the article was published if you know when. By doing this it streamlines the kind of articles it will return to you as possible answers. Writers need a bit of focus and direction. The internet can be a huge distraction. The moment you have gotten what you want, disconnect your laptop from the internet and focus on your writing. Do not disrupt your creative process by looking at unimportant pictures and posts in the middle of a write up. 3. Search for new clients. The great thing about the internet is that you can use it to search for prospective clients from anywhere in the world. To a large extent you are not limited by location. Search for opportunities to write as a freelancer on different websites or organizations and maximize such opportunities. The rate at which people use this word whether or not it is needed is becoming rather alarming. Wondering what word we are referring to? It is ‘so’. For your information, ‘so’ is not just a conjunction indicating the reason for an action or situation, it can also serve as an adverb, indicating that what is true of one person or thing is also true of another person or thing. You can use this word to lay emphasis too. Apart from it being the only conjunction some people use, others just find the slightest excuse to include it in their articles. Depending on what you want to say, here are a few alternatives to this word: accordingly, as a result, consequently, hence, in respect to, likewise, extremely, exceptionally, extraordinarily, strikingly, subsequently, terribly, therefore, thence thus, under these circumstances, whence. I have a full-time job as a Data Analyst, and on the side I run my blog, as well as managing some social media accounts for Cake Factory and Africa Naturalistas. As far as I remember, I enjoyed writing as a child. I remember keeping journals and insisting on hand-written letters and notes to my friends. Blogging came to me 4 years ago, shortly after I moved back to Nigeria from the US. I wanted to have a space online to share my NYSC year with my loved ones and also give guidance to foreign grads who wanted to come back to Nigeria. After my year was up, I realized that I really enjoyed blogging and sharing about my life and experiences. I started a lifestyle blog, and I think that it ushered a new and thoroughly enjoyable chapter in my life. Quick background: Occasionally, I write pieces for one or two platforms. They are usually from the heart or light and easy fare. Sometime last year (2015), I sent in an article to a website and they edited a sentence without my knowledge. I got a lot of backlash from the readers, and I asked the website editor to undo their edit – there was a little back and forth, they refused to revert to my original sentence, and I ultimately decided I would never again write for another platform [I eventually did]. It was challenging because I had to realize that sometimes my writing can miss the mark, and receive more criticism than positive feedback. Additionally, if it’s not published on your own platform, you may be censored or edited without your consent. Personally, my preference is to write from the heart. The articles I’ve written that seemingly had the most impact where the ones with personal stories and experiences. When you share about a struggle you’re having, it brings to light how many others are going through the same struggle or have overcome it. When you share a celebratory post, there are people cheering you on and thanking God on your behalf. The lesson I get from this is to be authentic, vulnerable and real. I have many rewarding moments, but they are all summed up in getting positive feedback from my readers. Whenever I get a comment or email or even offline message about how a particular blog post touched or inspired them, it makes me feel very good. Technically, I don’t really consider myself to be a writer. But if I didn’t write, I would probably be acting. I was not exactly rejected. I sent in an article to a website, based on my history of posting with them. This particular piece though was slightly out of character (or perhaps a different side of me), and they expressed concern about it. After a few days, I gave up on pushing it. However a few months later, I sent it to a different website and they scheduled it before I could even blink. I don’t think so. I may not write for money but I enjoy writing. If I write just to leave a journal or memoir for my future children, that would be enough for me. Continental Food or African Delicacy? – Continental. Unless it’s ripe plantain or Native soup. Fashion or music? – BOTH! Unfortunately not. I have never thought about it. Last words for upcoming writers? I’ve read that the best approach to writing is to set aside time for writing every single day. I don’t follow that practice but I guess it’s a good habit to imbibe as a serious writer. Otherwise, I would say to have a handy notebook (or phone; or tab) to jot down notes whenever you have a spark of creativity. If you don’t, you just might forget some of your amazing ideas. Word of the Day -What does it mean when something is posthumous? Do you know what posthumous means? If you don’t keep reading because it’s our #WordOfTheDay. Posthumous /póschəməss/ adjective – happening after someone’s death but relating to something done earlier. This word is coined from the latin word postumus meaning subsequent. If someone is given a posthumous award it means the award was presented after the recipient had died, because of what he did when he was alive. Late Archbishop Benson Idahosa was given a posthumous award by Pastor Poju Oyemade. The famous writer’s last book was published posthumously.